Today I spent another hour working through the remaining TranscribeMe training modules while simultaneously going through the style guide one page at a time. The training modules provide good information and some practice on the kinds of grammar and proofreading skills you will commonly use when transcribing the audio, in addition to the markup tags which are used to deal with any factors in the audio which are either not formally in the realm of speech transcription proper (ex. [silence] to denote a speaker’s silence for tens seconds or more, [inaudible] to denote that the speech is simply too unclear (at least for you) to decipher, and various other useful ones). Learning to use the tags properly allows you to deal with essentially ANY issue which comes up in the audio which acts as an obstacle to you properly transcribing every word in the project. When I completed the training modules I simply moved in the same manner through the test. Since it is possible to answer a few questions and then log off of the internet, log back on and simply resume the test, I proceeded to take my time with the exam while also continuing to work through the style guide. During the test itself there were a few instances where I needed to directly refer to the style guide in order to answer a question (or transcribe one of the audio files) properly. Most of the test was straight forward and the questions could be easily answered correctly by anyone who had paid attention during the training and read carefully through the style guide. For some reason, however, in the second part of the exam (right before the end) I ran into some difficulty in the transcription section which I couldn’t seem to figure out. In fact, they give you a certain number of tries to get it right and then, if not successful, you must restart the whole test. So after trying twice I was getting worried that I would have to do all the work of restarting the exam. Luckily, my research instincts came to my aid. After carefully re-reading the style guide a few more times and still not being able to get past the trouble spot in the exam I decided that I needed to try and find additional information about the TranscribeMe system. Luckily, my instincts were correct and I found the answer in one of the videos on the TranscribeMe training videos YouTube channel. In the video they explain that since the audio files have been broken down into micro-chunks then you can never be fully sure if the first word in the file you are working on is the beginning of the first sentence or a continuation of a sentence or questionfrom the previous chunk. Therefore, you are suppose to NOT add ellipses (…) at either the beginning or the end of the file. Unfortunately, although the style guide is generally quite good it does not make this point clear enough (which is the main reason why I don’t feel guilty for mentioning the issue here). I am also aware from a contact who was doing the exam at the same time that they were getting stuck at the same point in the test. I was also to find out later – once I had access to the internal social media message board – that many people had had this problem at this same point in the exam. Fortunately for me, my research training had saved me from unnecessary hassle. Again, the strategy of taking in as much information about a subject from as many sources as possible enabled me to find a solution to this issue without having to bother anyone or wait for a response. This same research strategy has safeguarded my from various problems in the past. As a result of my diligence I avoided the frustration and waste of time of having to repeat the test. In fact, once I found the solution I gave the test one last try and – with fingers crossed and by making the appropriate changes – this time I was relieved to see that I passed. Once the exam was passed a page came up which explained that I would be contacted shortly by an administrator who would direct me in how to access the workhub and begin working on audio files, interact with the community, and all of the other good things that certified TranscribeMe transcriptionist are able to do. At this point I simply continued working through the style guide, blog posts and other resources I had collected (of which there were already enough to keep me busy for months). Once the administrators contacted me and gave the green light I would simply add the new resources and tasks which then became available available to the overall mix and “things to do” lists. It is all just one continuous training process. I have always had a serious interest in podcasting. I am constantly listening to various podcasts each day and I find that the format has some unique features which make it better than printed text or video in some circumstances and for certain purposes. For instance, on many days I spend so much time sitting up looking at the computer screen and I just want to be able to lay down and listen to some interesting content. In fact, I often schedule my research to alternate between “sitting up” tasks and “laying down listening” tasks. This is much healthier for the back and eyes than constant screen exposure. You can imagine what great pleasure I have found in the fact that the first transcription company I started working for within the last few weeks issues a continuous and eclectic supply of podcasts for transcription and editing. These are two important factors which I believe will only increase the popularity and consumption of podcasting into the future. For instance, think about all of the people who are willing to listen to a podcast while driving to or from work (especially in traffic), or while doing chores, or as a break from sitting up looking at the screen. The people over at TranscribeMe have devoted a whole blog post to the issue of podcasting and its relation to transcription : Podcast Transcription where they point out the essential benefit of podcast transcription lying in making the podcast more possible to be indexed in the search engines, since search engines only index text – not audio. They don’t index video either and so the same benefits of transcription apply to video as well as explained in the article Reach More Clients by Transcribing Your YouTube Videos. Here is an example of a reputable podcast production which includes the transcript for each podcast right on the main podcast page : The Paleo Solution – Episode 112. On this page you will see a link for downloading the (audio) podcast itself and a seperate link for downloading the transcript (in pdf format). It’s important to keep in mind that one of the most beneficial reasons to transcribe a podcast of video is that it then enables disabled people to access you content. For instance, deaf people specifically can consume your content by reading the transcript. Blind people would naturally be able to consume the audio podcasting content unassisted, but for video they would need a computerized reader device to read a transcript of the content. In either case, transcribing helps to include a wider audience of people who can benefit from your production. For some podcasts, this group of people may constitute a significant portion of their target audience. Another interesting article from Forbes Funnymen and iPhones: Why the Podcast is Finally Coming Into its Own looks at hot the podcast has allowed those who have less mainstream views to enter the broadcasting market whereas they would have little success approaching traditional networks. Some of these avant garde podcasters do indeed end up succeedin either through the growth of their podcast alone or through being picked up by one of the larger mainstream networks. Therefore, podcasting is a sort of experimental medium which enables new ideas to build ground and eventually become successful. As I mentioned before, I have been focusing on editing the audio files (including podcasts) from the one company I work for as the transcription files are rather long and difficult for me at my current experience level. Editing these files, however, is very productive and enjoyable. Since most of the transcription text which comes in attached to the audio file as part of the editing project is of relatively decent quality (some more than others) the reality is that if the content of the podcast is straightforward (ex. not too technical) and the quality of the audio is decent (which is usually the case, since most serious podcasters who are actually willing to spend money on transcription spend considerable effort trying to get the best quality production that they can) the process of editing basically involves a rather leisurely listen to the audio file in real time and following the text to proofread for mistakes. This is called “proofing to audio” in transcriptionist jargon, by the way. If there are errors they can usually be spotted and fixed quickly by stopping the audio for a few seconds and making the quick adjustment. Common errors which occur include : the transcriber omitting an important word, simple spelling mistakes, simple punctuation mistakes, the wrong word which can often more easily be deciphered by the editor who is approaching the audio with fresh ears, etc. The editing step of the process certainly IS important as just having an additional person (who naturally possesses a unique skills set and often a higher level of experience in order to reach the editing level) to go through the transcript and audio can catch most of the mistakes made by the original transcriber. I could safely say that in EVERY SINGLE transcript I have ever edited there has been AT LEAST one error which I was able to correct. Most of the time there are several. So, I don’t feel guilty for choosing the less stressful editing jobs for now, since my work as editor actually DOES improve the final transcript product in some way. Ultimately, working as a transcriber puts you into contact with a regular stream of interesting and new podcasts. 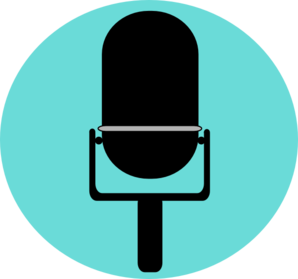 There have been numerous cases where I received a podcast from the transcription company which I enjoyed so much listening to during the editing process that I went out to locate the podcast, subscribe and become a regular listener myself. This is just another one of the juicy perks of being a freelance transcriptionist. This entry was posted in daily diary entries and tagged alternative, audience, blind, Cliff, deaf, disabled, driving, exposure, format, index, indexing, mainstream, network, podcast, podcasting, Ravenscraft, screen, search engine, smartphone, tags, traffic, transcription, work. chores. Bookmark the permalink. Where exactly did you find the guidelines to pass the transcribeme final exam. Please shed some light here! Hi. Things seem to have changed dramatically (southward) since I wrote this original post, so I cannot make an informed comment on this issue. Keep researching, and feel free to share your findings here, for the benefit of everyone in the industry. Thanks.